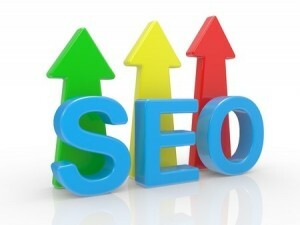 Anyone who understands how search engine optimization works understands that it is a long-term effort and process. Nobody can go from an unknown entity to top-performing website in search in a matter of days, but this doesn’t stop some people from becoming frustrated with the process. Building successful SEO campaigns takes months – if not years – before truly tangible results can be appreciated. In the meantime, however, you can keep an eye on progress and determine whether or not your overall efforts are beginning to build clout. Today, we’ll begin our three-part discussion on how you can quickly and easily verify whether SEO campaign efforts are generating the type of long-term benefits you’ll need to succeed. Perhaps the biggest individual way in determining whether long-term SEO efforts are beginning to provide benefit is by analysing whether there have been any recent traffic changes. One to two times per month, you’ll want to be pinging to Google Analytics or another metrics solution requests on how much traffic is incoming and from where. Organic traffic and referral traffic are the two main types of traffic you’ll be driving to the website once SEO efforts are in place and paying off. Direct traffic is common for well-established brands, but newer brands shouldn’t have a large percentage of direct traffic. Be sure to analyse both organic and referral traffic to see from where it is originating; it’s possible that your social media efforts may be driving traffic, but this is not the direct type of organic and referral traffic you’ll generate through long-term SEO. Most browsers and search engines store innate information relevant to your search experience. This means that when you search for your brand, it is common to see it in the top results because you visit the site frequently. Using the anonymous or incognito modes available through most browsers, try performing searches about your brand on Google, Bing and other websites. This will help you determine whether or not your brand is ranking as it should in search engine queries. If your brand is present on the first page of search via this method, then you’ll know that your work is paying off and to continue with it. If you cannot find your brand, however, then more work will need to be done – as well as possible change of strategy. Search engines are not kind to websites in the modern era that do not provide a pleasurable mobile experience to users. Through traffic analysis as mentioned above, you can determine how much traffic is coming to your website through mobile devices. It is likely that if your mobile traffic is continuing to grow, then you are viewed favourably by mobile users. Whether you have a lot of mobile traffic or not, it is necessary to be pinging to Google a mobile responsive design. Search engines now penalize websites that do not provide responsive design experiences that ensure users can successfully interact with the site on any and all devices. A lot of traffic probably means you’re doing well in this area. What Elements Make a Successful Blog Headline? Has an Algorithm Change Harmed Your Rankings?